Imagine being able to control the heat settings of your firebox from anywhere in the room or from another part of the house. 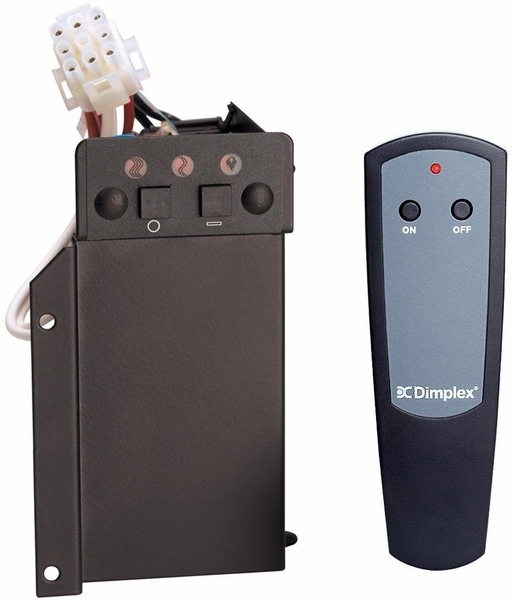 The Dimplex BFRC-KIT Remote Control Kit allows you to adjust settings for your firebox even if you aren't in the same room. The strong signal can transmit through walls, making it possible to adjust the firebox settings to meet your needs from anywhere in the house. It can be used with any of the following models: BF33STP/DXP, BF39ST/DXP, and BF45DXP. This remote control offers three flame settings to create the perfect temperature control and comfort level for your living area.